Splitcoast Stampers pop up card. Much easier than it looks. That's great, can you show us how it folds/opens too please? That's fab! I keep seeing these on Pinterest and thinking I must have a go; definitely for Rachel's 16th in April. That looks fantastic, Jo! I think I saw it in their weekly newsletter, if I remember rightly, but don't think it looked as good as yours. Yup was on the weekly newsletter Lynda. I want to do some more for newbabies. 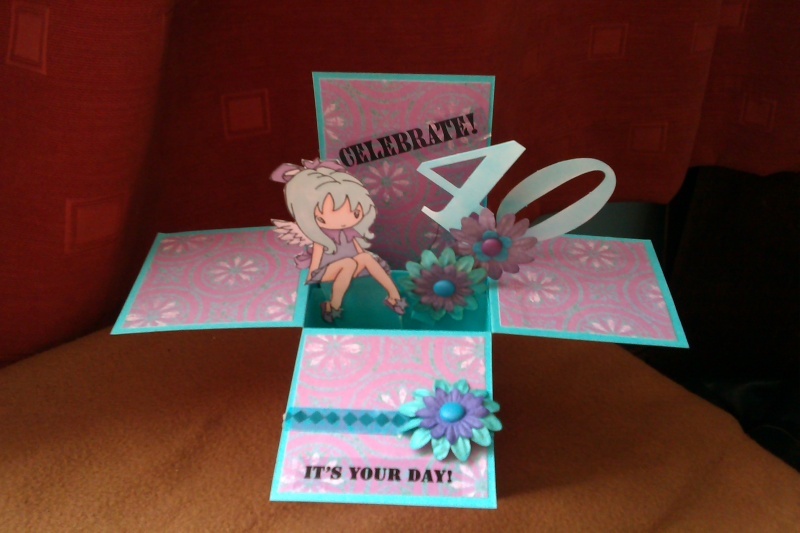 I also made the building blocks card from more recent newsletter and forgot to take pic!. karilyn I haven't got a pic of it closed sorry. Awww, that's smashing Jo. What a great idea. ive pinned lots of these too . they look interesting andversatile too. Thanks Jo, looks like a good one for a special person, was thinking Mothering Sunday, but that's no good as my Mum hangs her up. i am going to do one for mothers day too,lol.